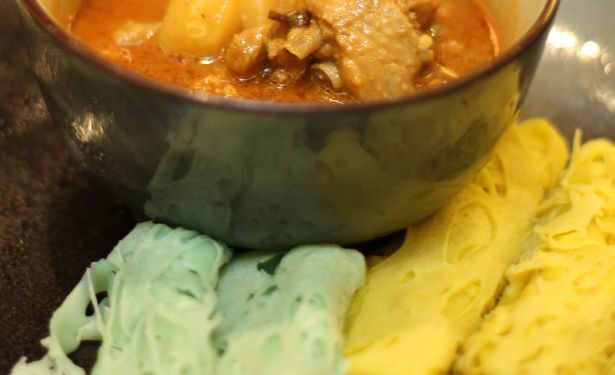 Pour a bit of the batter into a roti jala mould and spread the mix in the pan following a 'net' pattern. When cooked, fold it in half, then fold again (until desired shape is achieved). Repeat the process until finished.